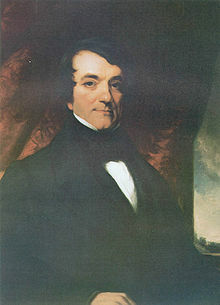 William Starke Rosecrans was born in Kingston Township September 6, 1819. His paternal ancestors came from Amsterdam and settled around New York, New Jersey and Pennsylvania. 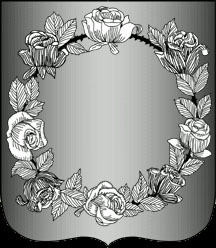 The name was originally spelled Rosenkrants which meant Crown or Wreath of Roses. In the book, The Annals of the Army of the Cumberland, written in 1863, the author says the General was very particular about pronouncing his name correctly. It was always to be Ro Sa Krontz as his Dutch ancestors spoke it. residents to move into it for safety in 1658. Stuyvesant, who designed the street plan shown here called the village Wiltwyck, which was Dutch for wild woods. Harmon Hendrick Rosenkranz came from Amsterdam via Bergen Norway to New Amsterdam where he married Magdaleen Dircks March 3, 1657. Marleena was the widow of Cornelius Caper. They moved to Wiltwyck where son Alexander was born in 1660. Their other children were Annatje, Rachel, Harmanus, Anna, Hendrick, Christiana, Dirk and Sarah. In 1664 Wiltwyck was renamed Kingston. For the next century the area was a peaceful farming community that produced wheat which was shipped up and down the Hudson River. Unfortunately the wheat crop caused problems when the area became known as the breadbasket of the American Revolution. "In September of 1777, John Jay and other leading patriots met in a stone house in Kingston to declare the province a sovereign state and establish the first New York State Senate. In a nearby building, the first State Assembly met. Kingston became New York State's first capital." In October General William Clinton led the British troop to attack the village and burn all but one of the buildings. The residents had already left so there was no blood shed. They returned when the British were gone and rebuilt the stone houses. Allen Rosenkrans says Dirk Rosenkranz was born in Kingston where on September 6, 1702, he married Wintje Kierstede. They settled in Mombaccus, Ulster County, New York (now Rochester), where Dirk was a farmer. He was evidently enterprising, and dealt considerably in lands, as the records testify. Their children were Herman, Jacobus, Helena, Sara, Lidia, Antjen. Jacobus (James) Rosecrans (born 1706) was baptized in Rochester March 17, 1706, married Sara Dekker in 1728, was received into the church in Machackmach (Huguenot, Port Jervis) September 18, 1746. Later they moved near the Delaware in New York. They were the parents of Captain Daniel and Soldier John as well as Helena, Blandine, Gertie by his first wife and Alida and Salaman by the second wife..
Captain Daniel Rosecrans served in the American Revolution as Captain of the Wyoming Valley (Pennsylvania) soldiers. After the Captain’s capture by Indians, his wife took her family to New Jersey, then back to Wyoming Valley, and last to Sussex on the state line trying to find a safe place to raise her children. When their son Daniel (who was to become known as Dr. Daniel on the frontier) was about 20 he went back to Wilkes-Barre, Pennsylvania, and married Thankful Wilcox, the daughter of Isaac and Desire (Crandall) Wilcox 1783. The Wilcox and Crandall families were from Connecticut and Rhode Island. They had four boys Crandall, Jacob, Daniel and Parmenus and two girls Deziah and Catharine. Capt. Daniel's brother John (sometimes called Soldier John to distinguish him from the other Johns in the family) was born in 1744 and apparently also fought in the war. He seems to have watched out for his brother's family. Soldier John (perhaps one of the first to change the spelling of the name) married Maria Rosa and they had four sons, Abraham, Jacob, Isaac and John Jr. and a daughter Rebecca. 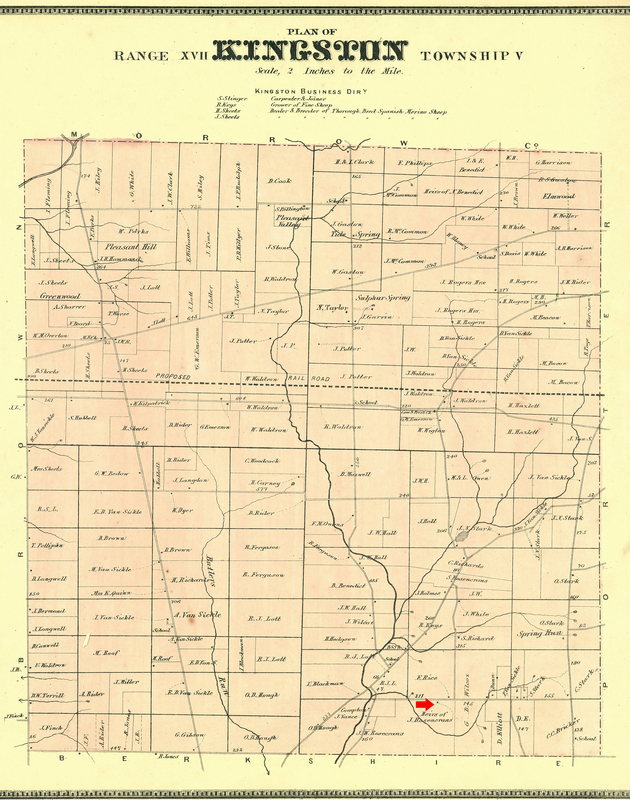 Descendants of soldier John, William Starke Rosecrans III and Alfred Rosecrans, were living in Michigan in 2010. William died in 2014. Dr. Daniel was one of the commissioners sent by his neighbors in Luzerne County to select lands in Ohio which it was proposed to colonize. According to Headley in Public Men of Today they had chosen Sunbury and Berkshire Townships in Delaware County, Ohio. In 1809 Dr. Daniel’s uncle John Rosecrans (his four sons, Abraham, Jacob, Isaac and John Jr.) joined Dr. Daniel and his family when they moved to Ohio and settled along a sub branch of the Little Walnut Creek in Kingston Township. Other families in this group were David Taylor (who gave Taylor Run its name) and Joseph and Sarah (daughter of David Taylor) Patrick. George Hess and John Phillips also from Pennsylvania had arrived here in 1807. It appears these last two were from Buck's County and may not have know the others before meeting in Ohio. At any rate, these families appear to be the only ones in the township until after the War of 1812. 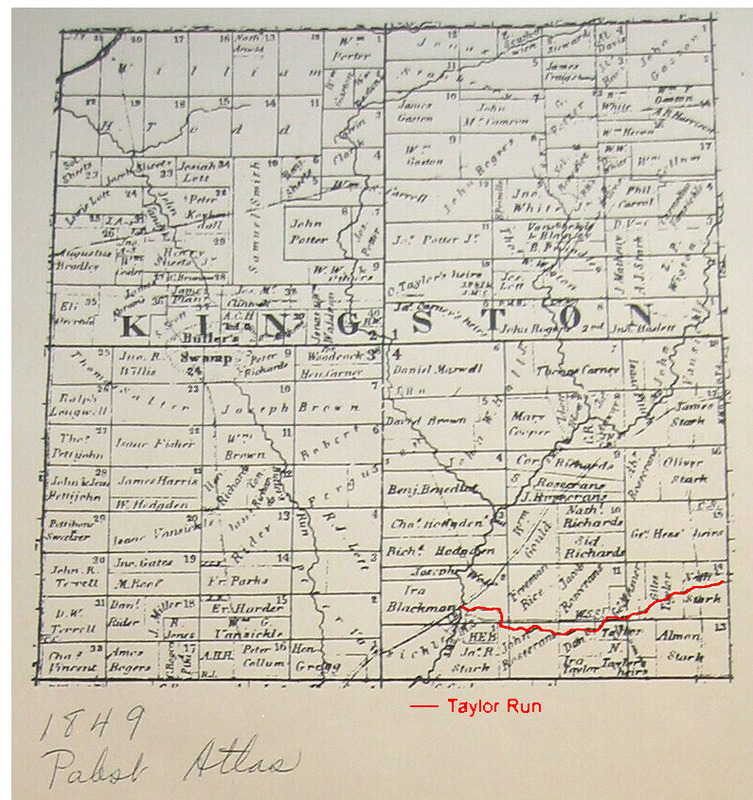 Kingston became the name of the township in 1813. Daniel was a farmer who practiced medicine from his home and always carried his bag of medicines where ever he went. Soon he also became Kingston's first Justice of the Peace. John's son, Isaac Rosecrans, was a blacksmith so the township was set to prosper. Four more children joined Daniel's family: James, Elizabeth and Judge Marmaduke P. Rosecrans and another who died young. Thankful was a Methodist and Daniel a Universalist. Thankful tolerated the Universalists meeting in her home if the Methodist Circuit rider was also allowed when he was in the area. Crandall who was born in 1794, was 14 when the family came to Ohio was very patriotic and comfortable with a gun. Although the Indians traveling through the area appeared to be friendly the settlers in particular the Rosecrans after Capt. Daniel's experience, were familiar with the tales of early settlements in the east. 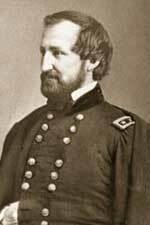 Captain William Drake formed a group of local men and trained them to keep the Indians away from the settlements. Supposedly one night he decided to play a prank and try his men and crept into the bushes. Firing his gun he shouted, "Indians, Indians!" and incited a major panic among the Delaware County civilians who began to ride and run south for safety. Many had fled south into Berkshire Corners which provided the only safety for the new Kingston Township. Major Brown who owned the house in the corners used as a fortress against Indians became suspicious and ask for a volunteer to investigate. Crandall Rosecrans, about 18, took his gun and took off on foot north to see what was happening. About a mile up the road, he heard a horse coming towards him and hid behind a stump. The rider was a soldier coming to tell the settlement the raid was false. He gave his message to Crandall who returned to the Corners. While the raid was a hoax, it caused much unease among the settlers. Baskin will give you all the details of "Drake's Defeat". Crandall joined the army. Stark Corners built a block house and the settlers lived in fear of a real attack. middle name was for Major General John Stark, a Revolutionary War hero, I suspect he was really named to honor one of his Stark neighbors in Pennsylvania (named William Stark) or the many Stark neighbors in Ohio. Many of Uncle John’s family are buried in the Stark Cemetery nearby. In either case, a gratuitous "e" was added to the Stark name. 1866 Although the cabin is no more, a stone boulder on Rosecrans Road marks the 160 acre farm and home where William was born. 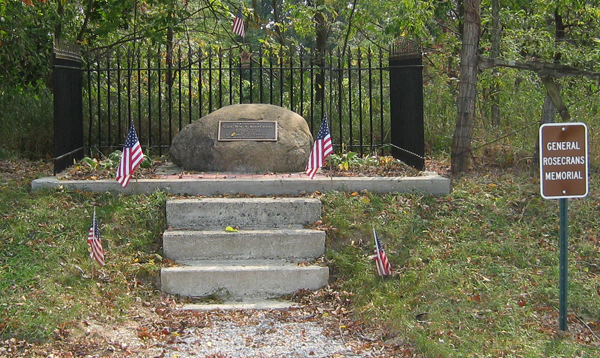 It was placed there and dedicated in April 1940 by the Col. Benson W. Hough Post 457, the local American Legion Post. Unfortunately his middle name was thought to begin with G. Over 50 years later the error was corrected, the old plaque given to the Myers Inn Museum and a new one mounted on the boulder. In 1884 when Rosecrans returned to Delaware for the Memorial Day services, he told John Beatty he remembered the town very well. From the log cabin in which he was born near Berkshire, Delaware County, he heard the wolves howl, and that they had good strong voices, and that when he asked his mother what they were she told him they were gray wolves. Crandall was not happy just being a farmer so in 1821 he moved his family to Homer where his uncle and namesake, Crandall Wilcox, lived. 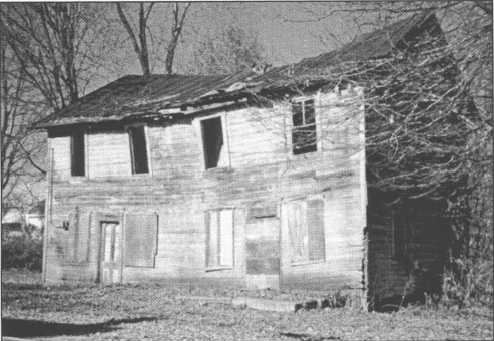 Rosecrans' house was being built when a tornado in 1825 damaged it. 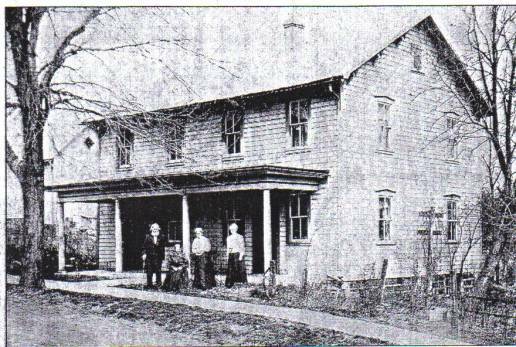 The house was on Lot 12 in Burlington Township on what became the Utica-Homer Road. It was just east of the main intersection in town on the north side of the road. Crandall Rosecrans soon ran a tavern, a store, a potash factory and farmed. He also bought several town lots. While he did not follow any formal church doctrine, Crandall was a religious man, a true patriot and very decisive on what was right or wrong. He became the arbitrator for the community. When the home guard was needed, he drilled the men. In 1847 Crandall was one of the founder of Farmers' Lodge No. 153, F. & A. M., in Fredonia, Ohio. The group was granted a charter in 1848. In 1909 it had fifty-two members. As a young officer, William wrote about his elders. "I have a mother who loves me well. A father whose fortune is his father’s blessing, his own hands and my good mother. Father is strong-willed, self reliant man who is popular and well respected in spite of his "iron will" and hot temper. Mother was gentle, deeply religious and insisted on everyone speaking the truth. Grandmother Thankful was quick, small, dark and peppery. Grandma Hopkins had large blue eyes, a pale face and was bald. She was very charitable and openhanded." William was a good mix of all of his elders. In Homer three more sons were born to Jemima and Crandall. Charles Wesley was born in 1822, Henry Crandall in 1824 and Sylvester Horton in 1827. The neighbors remembered the boys as lively but mettlesome. William and Sylvester were very studious and possessed wonderful memories. When he was 5, William was chasing the neighbor’s gander out of his mother’s garden but he was too rough and the gander died. His mother insisted he take the dead animal to the owner and tell what happened. William remembered his fear was for nothing as the neighbor heard his tale, felt sorry for him and gave him bread and jam. Playing war was a major past time. William organized a boys military company and was elected Captain. He drilled his brothers and the neighbor children as he had seen his father do. They had sham battles using cornstalks. At an early age he developed his life’s motto: "Lick not get licked." No one dared call him Bill, Willy or any other nickname. He was William and proud of it. As children Sylvester and William would plan ways to move from place to place using box-like cars on glass rails which began William's life long fascination with railroads . Although William only had 3 semesters of formal schooling as a child, his parents encouraged the reading of the classics and allowed the boys to educate themselves. When he was about 6 years old, William learned the Declaration of Independence which hung on their wall. He would stand on a barrel and recite it in his father’s store. His father taught him to "Hurrah for Jackson" at an early age. He memorized Major General Andrew Jackson’s Battle of New Orleans. William showed great promise in mathematics. His father taught him addition and William taught himself the rest of arithmetic. When he was 8 he spent a winter session in a log school. When he was 10 he spent the summer session in school and borrowed books on algebra. The teacher offered to help if William got stuck. Books were borrowed from family and friends. One time William had borrowed Jane Porter’s novel, Thaddeus of Warsaw. Shortly after he came down with bilious fever and had to stay in bed. He read over 450 pages of the book only to discover the last pages were missing. Since he could not find another copy, he worked 3 months in his father’s store to be able to buy his own copy and finish the story. As soon as he was old enough, William began working in his father’s store. He demonstrated a great aptitude for commerce and even closed a store seven miles away when he was 14. He was offered a job working for George Arnold in Utica. In 1833 when William was 15, George moved his store to Mansfield and William went with him. When William was 16, he decided to go by boat down the Ohio to the Mississippi but he became so sick in Vicksburg, he had to return home. One day he was asked to drive Thomas W. Bartley to Columbus. Bartley was so impressed with his discussions with William he suggested college to the boy. Bartley went onto be Governor of Ohio and William went to Homer to discuss college with his father. There was no money for college so they agreed to try to get an appointment to West Point through their congressman. William trudged 50 miles to be interviewed by Congressman Alexander Harper who told him to send evidence if academic, personal and physical fitness and he would forward William’s application. William did as he was instructed but did not hear from the congressman who was holding the appointment for his own son. However he was so impressed he did eventually send in the request for appointment. However, after 3 and a half months with no word from Harper, William wrote directly to John Canfield Spencer, Secretary of War. Spencer was very impressed with William’s credentials and approved his appointment pending passage of the entranced examination. William was approved for West Point. The trip to West Point was not an easy one for an eighteen year old to make. Rosecrans went from home in a coach to Cleveland, took a boat to Buffalo, then a stage to Batavia, went by Erie Canal to Schenectady, a train to Albany and finally a boat to West Point.